Finding the perfect recruit or developer for your organization isn't as simple as it once was. Let's face it, just like with dating, you've got to kiss a few frogs before you meet your prince charming. As new specialties emerge, and skillsets become more refined, it's becoming increasingly difficult for businesses to fill positions, with 65% recruiters claiming talent shortage as their biggest threat to hiring and human resource management. The chances are that your business doesn't have the time (or the patience) to sift through hundreds of inappropriate candidates from the wrong recruitment agency just to find someone who “might” meet your criteria. At the end of the day, time is money. That's why recruitment agencies are so beneficial to the average company. However, just as no two job applicants are the same, you'll find that some recruitment agencies are more effective than others. In most circumstances, when you begin to search for the answer to your staffing problems, the obvious place to start is with the biggest brand names. You know – those omnipresent providers you're always hearing about. They seem to etch their way into your brain. But that doesn't make them the best choice. In fact, there's plenty of reasons why boutique recruitment might be better for your business, and your future. 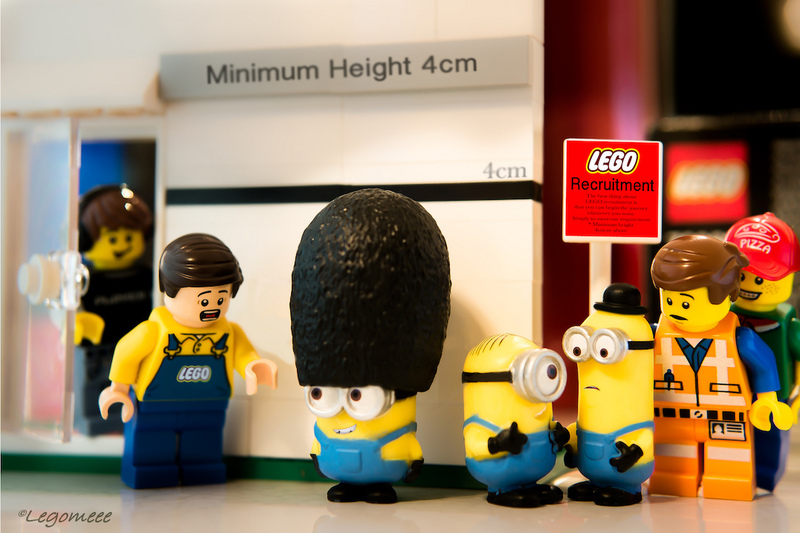 What Differentiates “Boutique” Recruitment Agencies? During 2016, 58% of small businesses reported that they had “tried to hire” a qualified applicant for their open positions, using human resource recruitment, and other services. Unfortunately, nearly the same amount (52%) noted that they had struggled to find the right people with traditional recruiters. Of course, finding the perfect employee isn’t as easy as choosing your favorite pizza toppings, it takes someone with a thorough understanding of everything from temp agencies, to remote working to thrive in this modern age. The important thing to realize is that recruitment agencies aren't just the “middle man” between a company, and an employee. Recruitment is an art, and the cookie-cutter approach to finding job applicants doesn't really fit into this new economy of versatile jobs, remote working, telework jobs, and worldwide connectivity. This is where boutique recruitment companies are showing their true value. Boutique firms apply individual methodologies to the recruitment process, tailoring it to the individual client, and role available. Like the modern work environment, these staffing companies have more flexibility in their ability to search for talent, meaning you get the “right”, employee, rather than the “right now” candidate. Boutique agencies like DistantJob thrive on getting to know their clients inside and out, understanding their business, and culture, for a hiring fit that not only reflects key talents and skills, but also cultural drive. After all, 60% of companies believe that cultural fit is crucial to any hire. You need to make sure that the person you hire isn’t just someone you can see building profits for your business – but someone you’d be happy to go for a beer with, or ask for advice from. With a boutique agency, the full recruitment process is less diluted by the presence of inexperienced staff, or panicked hives of busy workers, which can occur in larger agencies. The boutique nature of the company creates a more intimate, attentive experience, leading to a greater chance of finding the best talent in a competitive market. That means that you get the perfect fit. Besides the fact that “boutique” recruitment agencies just sound classier than their traditional counterparts, there are plenty of reasons to consider going this route with your employment needs. For instance, LinkedIn's Global Recruiting Trends report for 2017 found that 83% of leaders will consider “talent”, to be the key priority in their company. That makes sense, after all, if you wanted just “any” recruit, you could simply accept the first person to drop a resume at your door, or work with the cheapest recruiting companies around. You don’t want the average employee – you want the creme de la creme of professionals. Because boutique recruitment agencies can dive a little deeper into the previously untouched parts of employment, looking beyond recruiting websites and forms, into remote people with new and advanced skills, they give you a greater spread of talent to choose from. In other words, rather than being a company that must compete for the attention of a few key industry players, you get your choice of a veritable dessert tray of ideal candidates. 82% of professionals consider culture to be crucial to their employment practices. That means when you're looking for an effective fit in your candidate selection, you need a recruitment manager that looks at more than just the “education” part of a resume. Boutique agencies combine long-term business plans for their clients, with the long-term career goals of applicants, to create a match made in heaven. Think of it this way, it’s the difference between going on a blind date, and planning a romantic evening with someone who ticks all of your romantic boxes. Many companies assume that a larger recruitment agency will have more experience with different types of candidates, sectors, and industries. But that isn't always the case. If you're looking for workers in the space of technology and design, for instance, you might find that working with a boutique recruitment agency gives you access to skills and understandings that you couldn't get elsewhere. Consultants in boutique recruiting process agencies like DistantJob know how to source the best talent for the right sectors, by joining the various intricate parts of recruitment together. While more employees might seem like the best way to get jobs done faster – the truth is that larger recruitment agencies frequently suffer from panicked staff running around like headless chickens. A lack of internal communication often leads to disjointed processes, which means that applications and projects are bounced around from one department to the next. Even when you have great tools at your disposal, Human Resources recruitment processes are complex and time-consuming. It's no wonder that the average time it takes to fill a position with a large agency is 42 days. Alternatively, a boutique recruitment process gives you the benefit of a single point of contact, and a more focused collection of experts. That means that recruitment processes can be completed more efficiently, without you constantly having to wait weeks for an update. Finally, boutique employment agencies will often be willing to consider and seek out candidates that other recruitment agencies, or traditional job sites would be unwilling to address. One of the biggest benefits of working with a specialist recruiter, is that they can penetrate passive markets and discover the candidate that fits your role perfectly. These are the people that really go above and beyond, after all – you deserve the best, right? That means that you can bypass the hr management restrictions of things like location, and even look into remote jobs, and telecommute opportunities that might allow you to take talent from other competitors in your industry. Do You Need a Boutique Recruitment Agency? At DistantJob, we believe in the power of boutique agencies. It’s easy for us to take a look at our incredible candidates and countless success story and say “Hey, this really works”, but you need to see the results yourself. Up to the year 2024, the Bureau of Labor Statistics suggest that 9.8 million jobs are likely to be added to the U.S. alone. One of the highest-growing industries anywhere on earth, is the sector involving technology, and online development. As the digital age continues to blossom, more companies are seeking specific talent from expert recruiters, that can help them to own their place on the web. With that in mind, the organizations that may benefit most from boutique assistance, are likely to be those who need to move beyond the traditional job search, and find applicants that fit with thee versatile, flexible, and highly-skilled environment of the modern day. The average IT recruiting firms might not cut it, but a boutique recruitment agency can help you find the diamonds in the rough for your industry. Don’t be the average “boring” company. Now’s your chance to show that you’re something different, and special, without having to invest in crazy marketing schemes. It's no secret that quality talent is growing harder to find, and boutique specialists could give you the guidance you need to find the ideal skillset – wherever it might be. Whether your business is big, or small, the unique advantages of a boutique recruitment agency could mean that you access talent pools no other company can dip their toe in. After all, in today's climate, the need for efficiency, flexibility, and agility is paramount – and boutique firms have those features by the bucket-load.